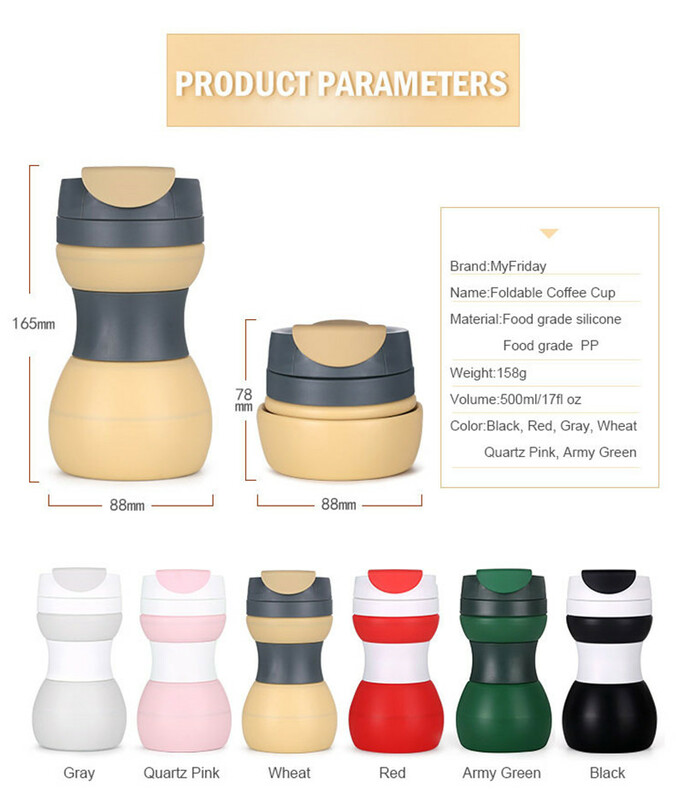 Food Grade material - silicone foldable cup made from food grade silicone and PP material, FAD, LFGB, BPF Free certificate, eco-friendly, nontoxic, no smell, No plastics, phthalates, lead, cadmium, mercury, PVC ingredients, allows you to enjoy hot or cold beverages anywhere, safety for use. 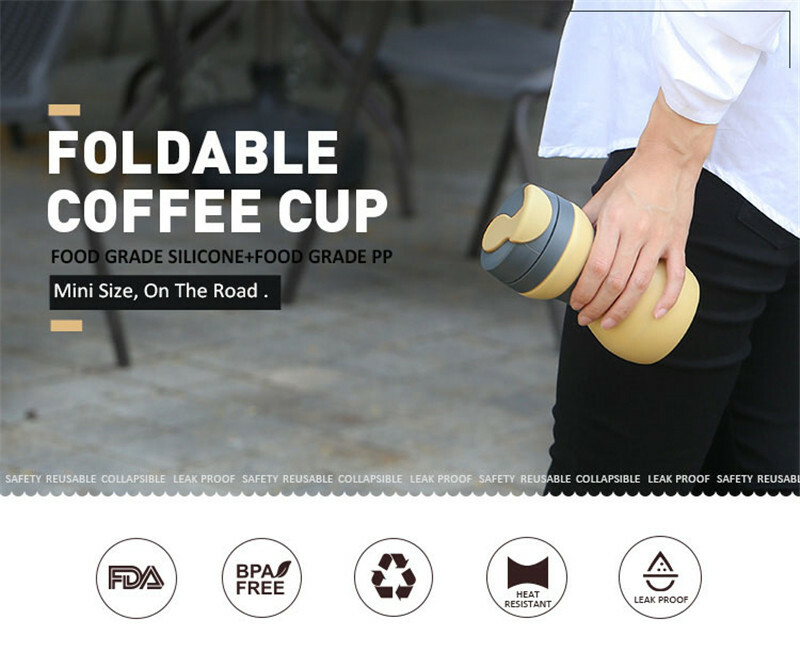 Ultra portable - The reusable, collapsible cup, allows you to enjoy hot or cold beverages anywhere, at any time, once you finish your pick-me-up drink, simply collapse the cup and store in your pocket, purse, backpack or briefcase, lightweight and foldable design make it space-efficient for easy store in the backpack for travel. 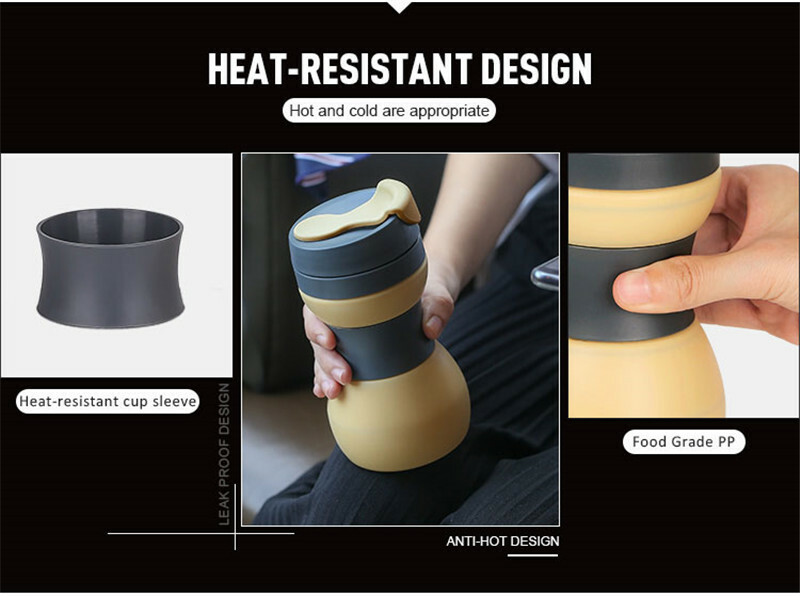 Thermal insulation sleeve with nonslip design for safe carrying of hot drinks, The anti-hot design foldable cup can serve double duty as hand weights, any time any where do physical exercise. 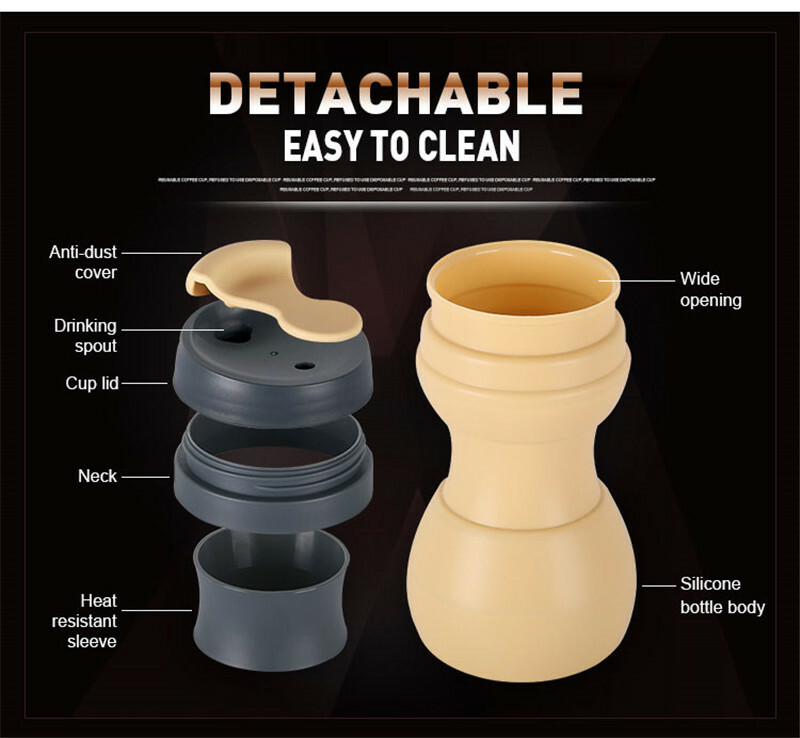 foldable cup with leakproof locked-lid, A leak proof lid opens and closes easily; helps to minimize and prevents any spillage, Since it's reusable, it eliminates the waste of disposable coffee cups. 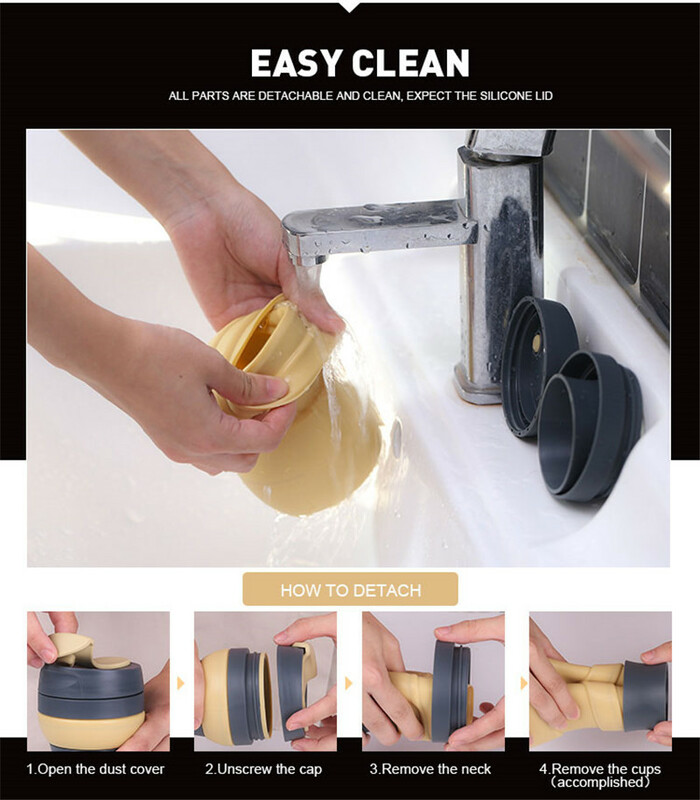 Food grade silicone and PP, easy clean. 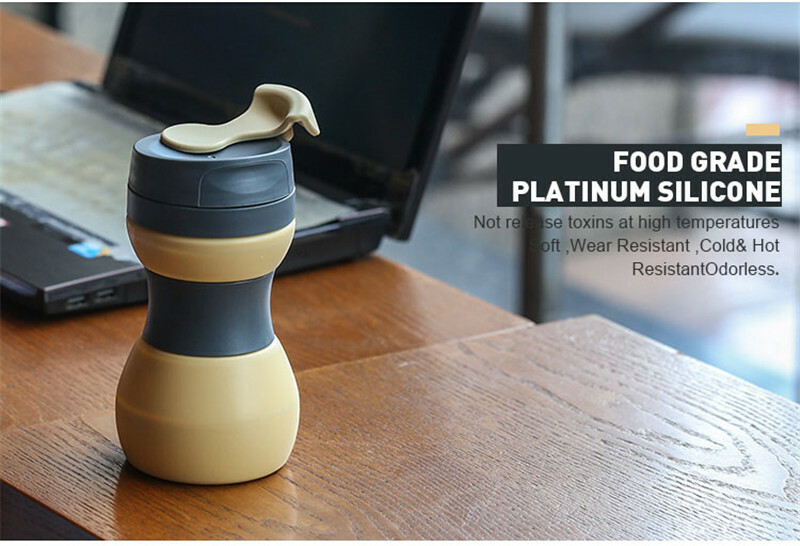 Durable and fragile- resistant material, 17 OZ big capacity, It's a perfect addition to a picnic, travel and outdoor BBQ etc. 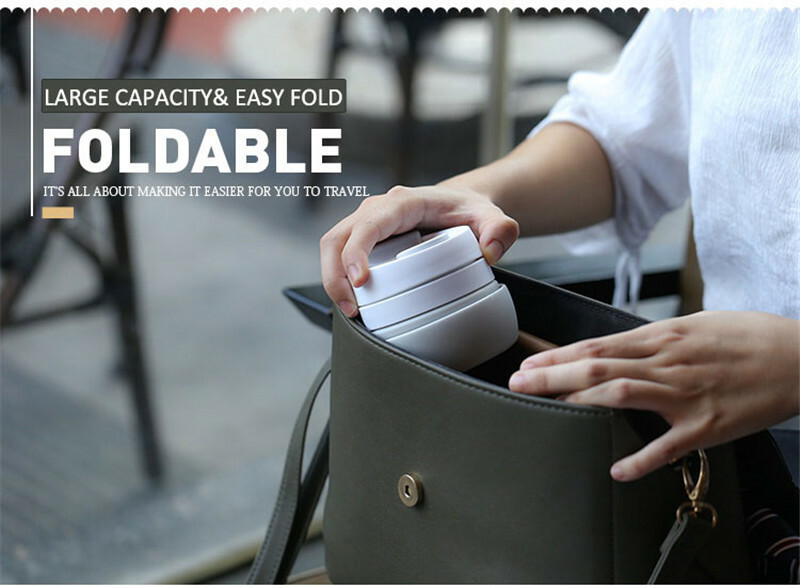 PERFECT GIFT - Exquisite and delicate, combine with the eco-friendly design, it is a meaningful and perfect gift for any person at anytime. 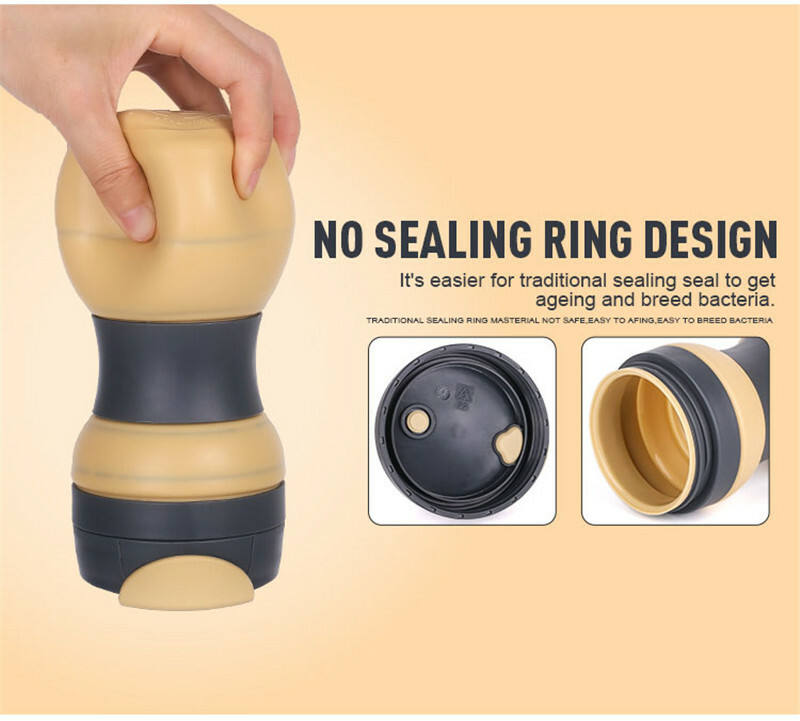 Looking for ideal Travel Water Bottle Manufacturer & supplier ? We have a wide selection at great prices to help you get creative. 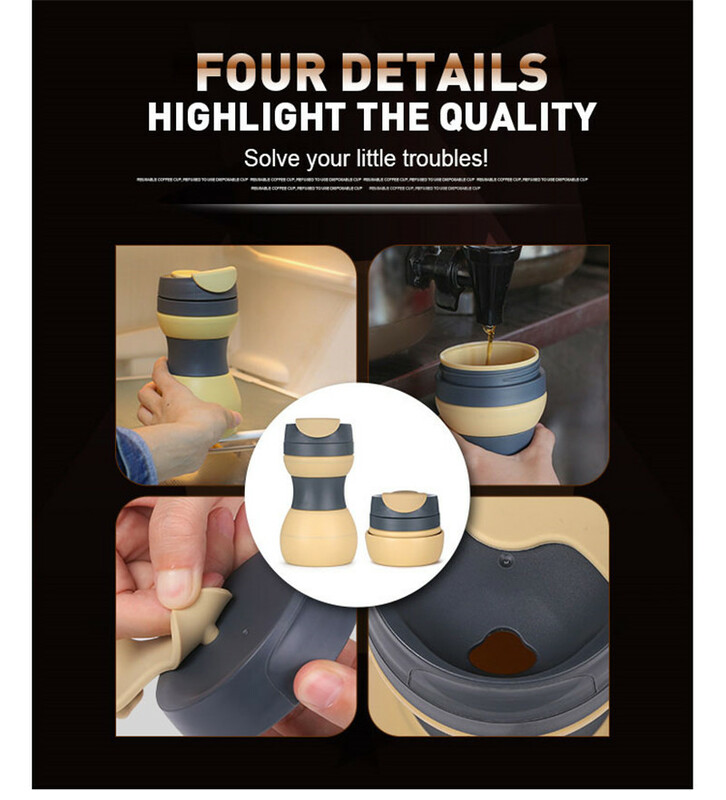 All the Collapsible Coffee Bottle are quality guaranteed. 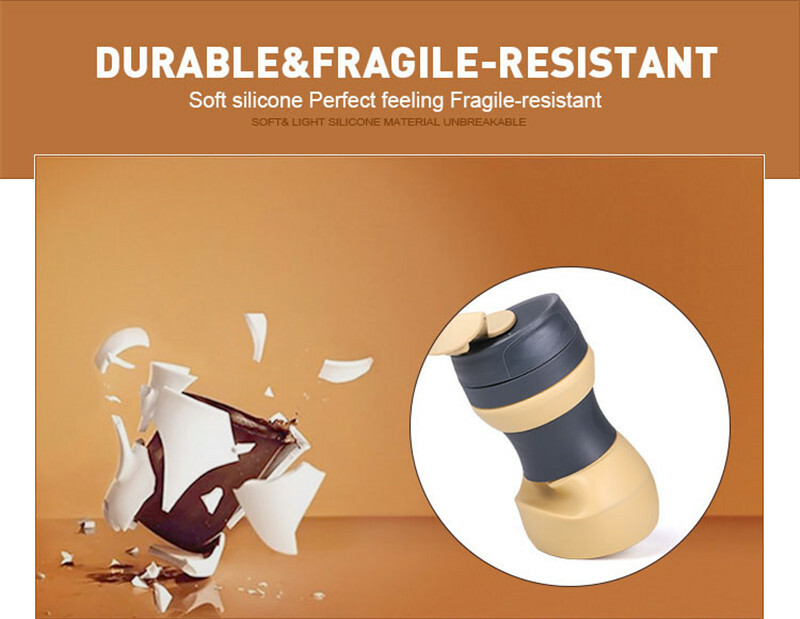 We are China Origin Factory of Silicone Coffee Bottle. If you have any question, please feel free to contact us.